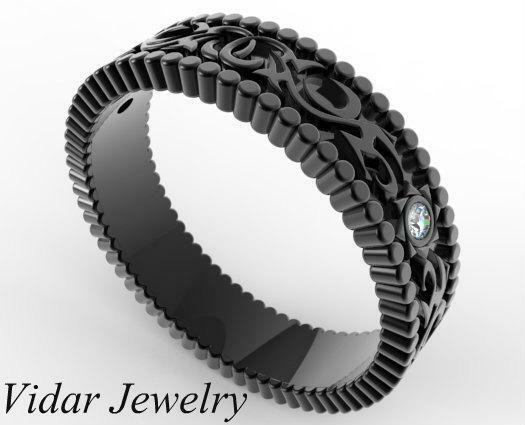 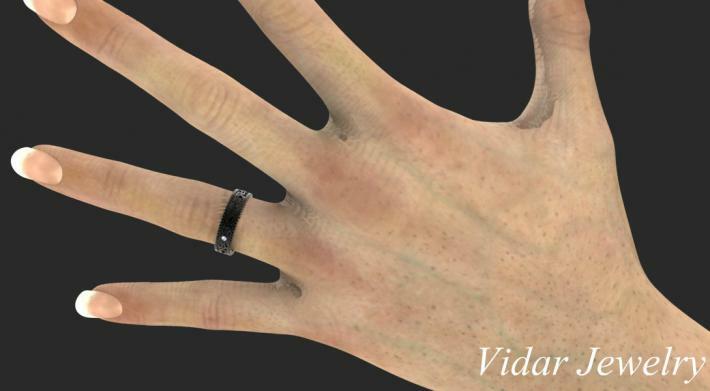 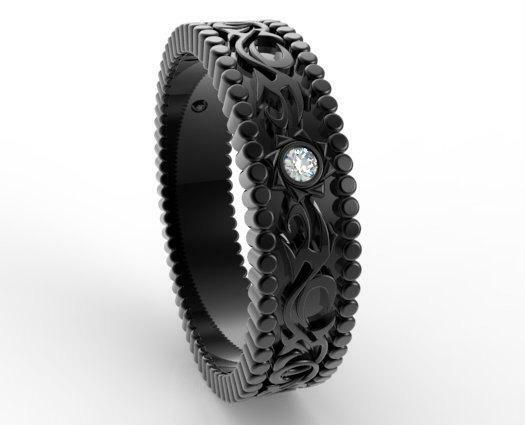 This Black Gold Diamond Wedding Band is perfect fine band! 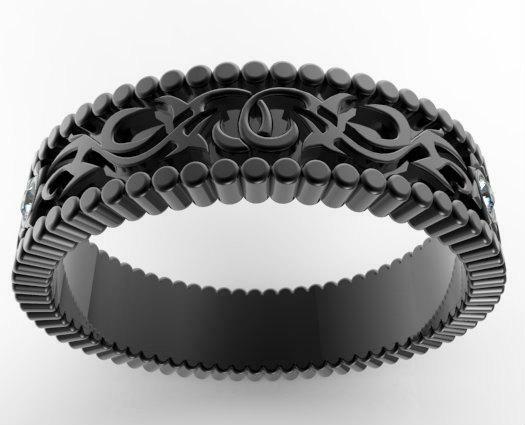 Wear it alongside your engagement ring, as a wedding band by itself, or as a right hand ring. 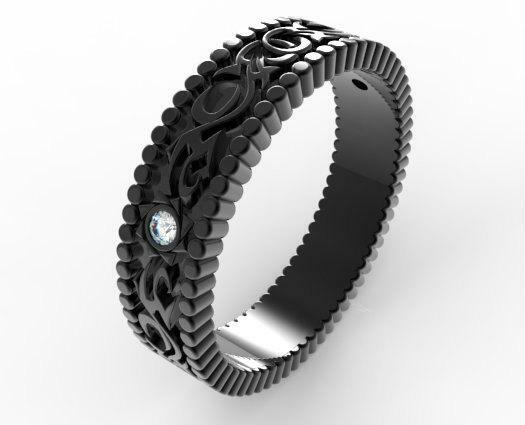 metal/weight/detail: 14K Black Gold, about 5.5Gr.